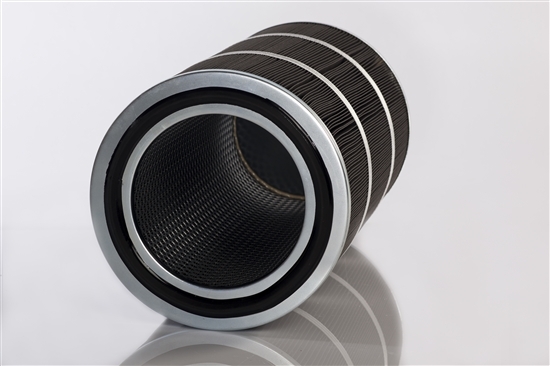 Our air intake filters are specially designed for gas engines, turbines and other combustion-engine driven machinery. We have air intake filters available in a wide range of different classes so the right degree of protection can always be obtained. The filters are built to protect the engines from taking in outdoor air pollutants and moisture causing unusual high wear & tear, vibration and possible output pressure surges. There is a large variety of contaminants which can affect the blades of the turbines or internals of engines leading to a serious reduction of output efficiency. The air intake filters of Parker guarantee a clean and dry air intake to ensure your equipment runs with the highest possible performance and at minimum unscheduled maintenance; the best assurance against environmental pollutions. Most applications use a direction of flow from outside to inside; with special pleating we establish maximum extended filtration surface. Filtration media ranges from cellulose to polyester, impregnated or reinforced, specially treated or otherwise configured. Our wide range of air intake filters provide optimum and innovative solutions for gas engines, turbines and other engines to end-users, maintenance shops, service companies, OEMs and resellers.